It`s rather undisputed. 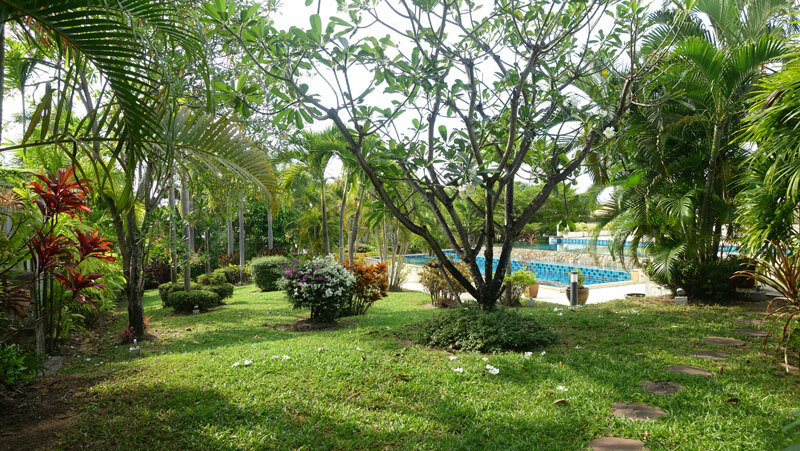 Siam Royal View is the most sought-after upscale gated community in the Pattaya-area. 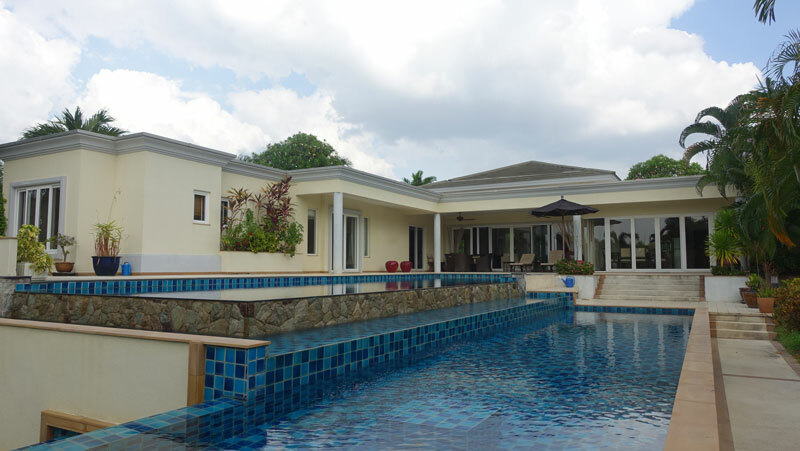 This is one of the noble "Sanee"-type villas on an extraordinary large plot of 1.500 m2. The villa is built on two levels with two different entrances. 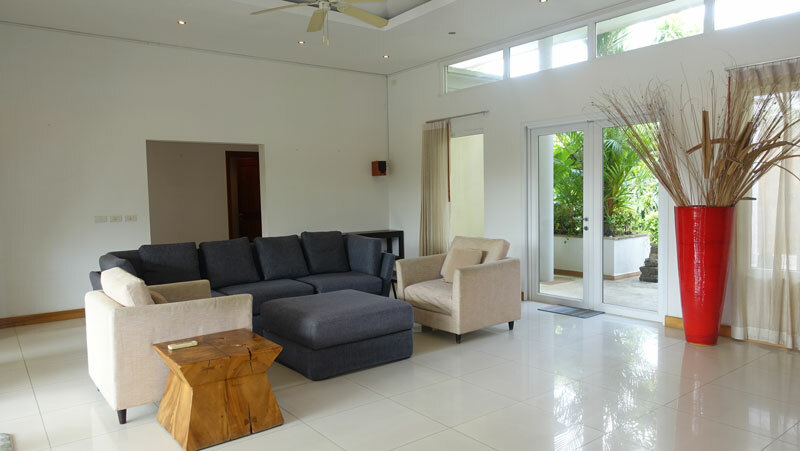 The upper level consists of 90% of the living-space with 3 generous bedrooms, all with their en-suite bathrooms, the living- and lounge-area with cathedral ceilings, the generous dining-area, the large, well-equipped western kitchen, maid quarters and storage areas. You can park up to 4 cars inside the remote controlled open garage and a storage and a laundry area are there as well. All main rooms offer lovely views towards the outdoors. Panoramic UPVC sliding-doors open towards the spectacular pool and garden areas. The private pool offers the skin friendly salt-water sanitation and measures 15m x 6 meters and has this attractive infinity overflows and an outdoor shower nearby. The tropical gardens are beautiful, offering plenty of space to unwind. There is a new LED lighting system and the garden maintenance is eased by an automatic sprinkler system. There is a generous covered terrace overlooking the property and offering space for outdoor dining plus a few deckchairs. On the lower garden level that offers complete privacy, its own entrance and separation from the main areas, there is an additional 30m2 guest room plus lovely greenery. 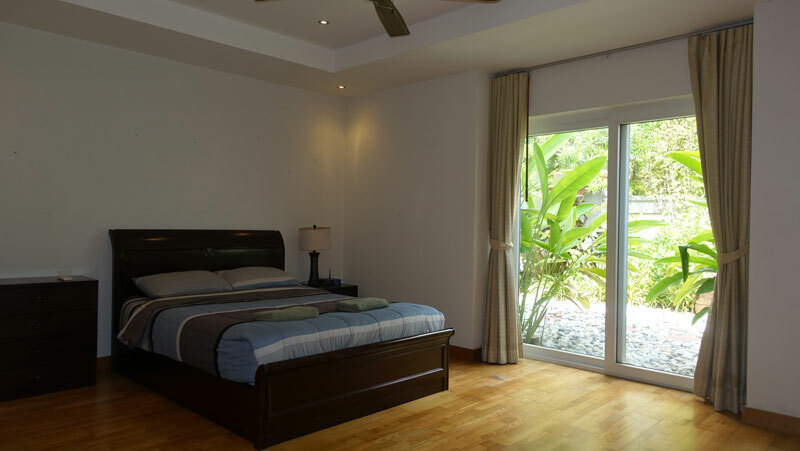 The property comes fully furnished and equipped, including a high-end stereo surround system and lots of top quality air-conditioners, many of them the sophisticated ceiling cassette type ones. 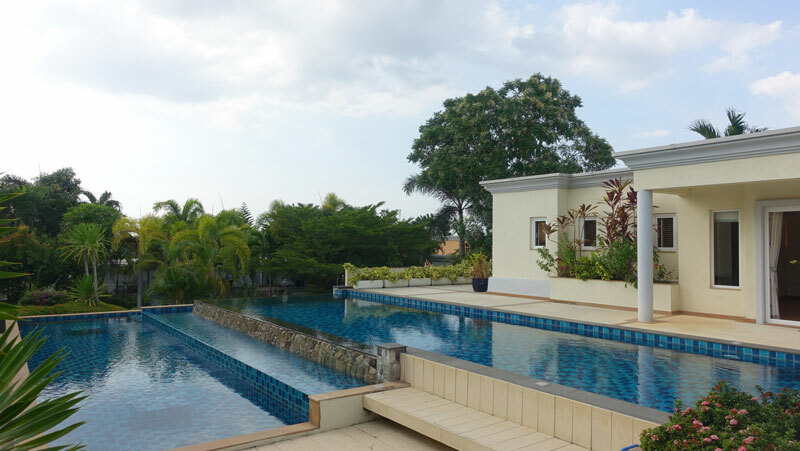 You can move in right away or you might want to upgrade the villa according your own taste which is still affordable as the villa is very attractively priced. Just compare and have a look. We do have good and reliable handymen for your convenience at hand. 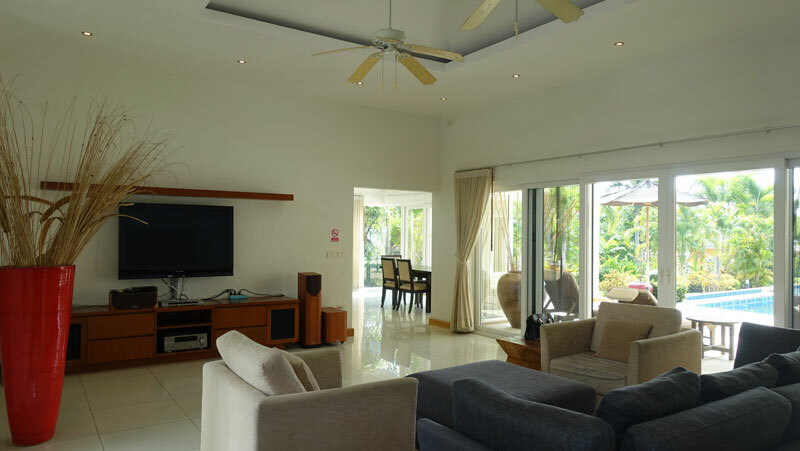 Siam Royal View is known as one of the leading housing estates in the greater Pattaya area. The roads are wide and well cared with lovely greenery along the ways. All cables are underground, there is lovely common lighting. 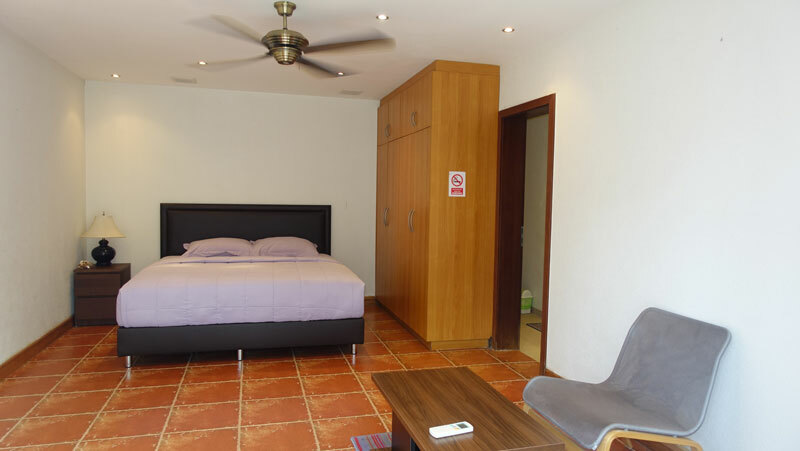 There is plenty of room for a walk or a bicycle tour in a pleasantly quiet location with a constant breeze. The village management offers an array of services and the staff is smart. The villa is also a great money earner. You can rent it out on a daily base during your absence, should you want some additional income. The rental management is already in place. If you don`t have all the money at hand, just ask for the owners finance options.